A tennis playing friend of mine horrified me this week. She said the only way she knows how to do scrambled eggs is in her microwave. I've promised her a scrammie egg masterclass soon. 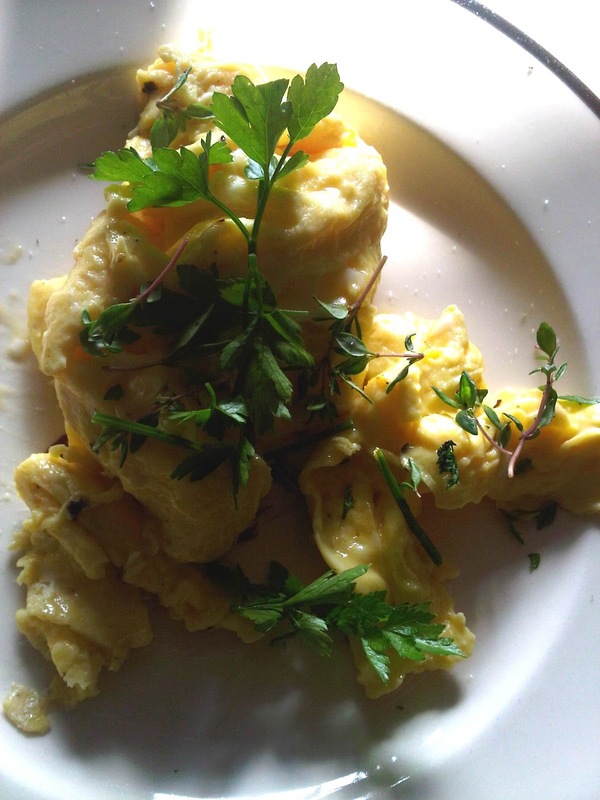 Here are my top tips for creating world beating scrambled eggs, or as they are affectionately known in the Spanish speaking world, huevos revueltos. ***Method: Heat up 1 tbs olive oil and butter if desired. Beat your eggs until all the colours run as one. Add a good pinch of salt and pepper to the eggs. When the oil is really hot, add your eggs to the pan, it should sizzle loudly and straight away start to cook around the edges. Wait for 30 seconds and then with the spoon scrape the bottom of the pan so the harder egg mixes with the liquid. Take of the heat and flip the cooked egg on the bottom of the pan over the runny egg. The whole process should only take about one to two minutes. Serve piping hot with extra black pepper and some chopped flat leaf parsley. ***Try these variations too***Add pieces of smoked salmon at the end of cooking***gently fry up some bacon lardons until crispy and add last minute to the egg mix***go for all out herby eggs by adding freshly chopped parsley, thyme, oregano and chives to the finished eggs***try a curried egg version by adding in some softened onions, cumin and turmeric with parsley. The list goes on! For the original French omelette, try this recipe at http://www.bbcgoodfood.com/recipes/1669/ultimate-french-omelette and add the above fillings and toppings to bring out the best in that egg.